Due out simultaneously alongside previously announced versions. 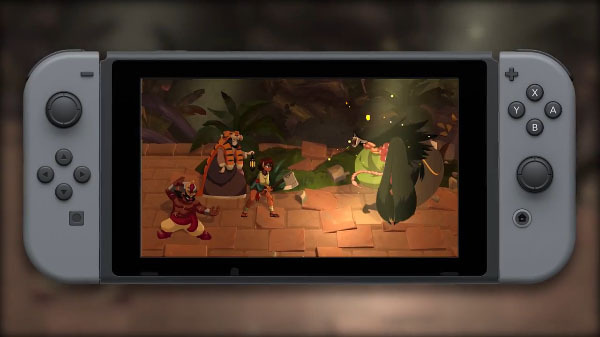 Indivisible, the upcoming RPG / platformer from Lab Zero Games, is coming to Switch simultaneously alongside the previously announced PlayStation 4, Xbox One, and PC versions in 2018, the developer announced. In addition to a fresh spin on RPG gameplay, Indivisible features a deep storyline inspired by southeast Asian and other world mythologies, Lab Zero’s trademark feature-quality 2D hand-drawn animation, a lush soundtrack from legendary Secret of Mana composer Hiroki Kikuta, and an opening animation by popular anime studio Trigger.